Pros: Small. Lightweight. Easy to install and use. Portable. Inexpensive. It seems durable and is made of high-quality materials. Cons: We just wish the car mount came with an extra magnet, just in case. Bottom Line: The Mobile Kingdom Universal Magnetic Car Vent Mount is an inexpensive, easy-to-install mobile device mount that will keep your smartphone usage street legal. This mount does what it promises, and we couldn't find a reason not to recommend it. If you’re like most people, no matter how often you’ve seen or heard warnings about it, you probably use your smartphone while driving (at least now and then). Whether it’s to control your music, make calls via your phone’s hands-free commands and speakerphone, read texts, or follow Google driving directions—for one reason or another, we all use our smartphones behind the wheel, which could actually be illegal in your state. The smartest of us who do, however, also use some kind of mounting device rather than holding the phone in our hands. It’s a much safer choice and allows you to follow directions without taking your eyes fully off the road. The question is, though, out of the hundreds of mobile device mounts available, which one is right for you? We checked out the popular Mobile Kingdom Universal Magnetic Car Vent Mount, now available for just $19.99. If you’ve shopped around on a smartphone accessories site recently, then you’ve already seen the dizzying array of mobile device mounts available—everything from the elegantly simple to the elaborately complicated, and even the ludicrous. (Perhaps you’ve even tried one or two.) This mount appears to offer a happy medium — with a sleek aesthetic but simple setup. Out of the box, the Universal Magnetic Car Vent Mount looks like a bottle stopper, or perhaps a game piece—anything other than a mount designed to affix your several-hundred-dollar cell phone to the dashboard of your car. But once you know what it is and what it’s intended to do, how it works becomes immediately recognizable. Few things in life are easier than installing this pragmatic little device. It’s designed to slip onto one of the air conditioner/heater vent louvers on your dashboard, which means that in most cars, not only will it be located close to the driver, but you can also place it on either side of the steering wheel. To prepare the phone to be mounted, you simply apply a small, round, adhesive-backed disc to the back of your phone or case (as seen above). You then connect the phone to the mount by hovering the attached disc over the mount. The device’s relatively strong magnet, in turn, pulls the phone toward it, and, voila, your phone is mounted to your dashboard! Unlike those elaborate, often convoluted, mounts with adjustable guides (or straps) for holding the phone, the Universal Magnetic Car Vent Mount has only two adjustments: rotate left and rotate right. This helps you to position the phone upright. To adjust its location relative to the driver, you simply place it in the desired spot along the appropriate louver. Also, unlike most other mounting devices, due in part to the ferromagnetic (magnetizable) metal disk’s adhesive backing, the Universal Magnetic Car Vent Mount will work with virtually every smartphone, even the newer large iPhone and most recent Samsung Galaxy models. 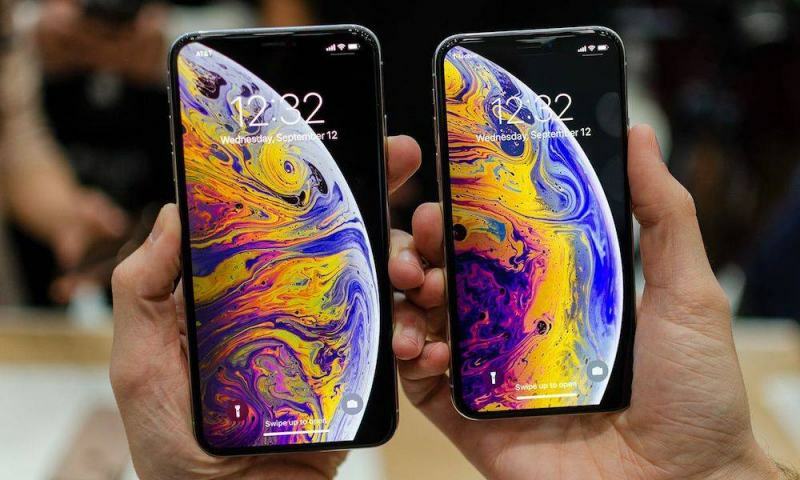 If, however, you don’t want to stick the disk to your phone’s outer casing, or chassis, you can always simply slip the disk inside the phone’s third-party protective cover. The magnet is strong enough to adhere to the metal disk through the cover, no matter whether what its made from—leather, plastic, rubber, and so on. A so-simple-that-it’s-elegant solution for mounting your smartphone while driving. If maximized convenience, productivity, and functionality aren’t reason enough to choose the Universal Magnetic Car Vent Mount, how about legality. Most states require you to be hands-free, even if you need to simply touch a button, answer a call or swipe to play a new song. Furthermore, California and some other states have passed very specific guidelines as to the nature of mobile device mounts and how they should (or should not) attach to the inside of an automobile’s driver area. Some states, including California, have passed strict windshield-obstruction laws that specifically prohibit “any object or material placed, displayed, installed, affixed, or applied upon the windshield.” This means, of course, that depending on what state you’re driving in, the law prohibits the use of a mount that adheres to your windshield with a suction cup or adhesive pad. Other states have passed laws that that ban you from placing smartphones or other distracting objects directly in your line of sight as you look out the windshield. In other words, you can’t mount it on the dashboard if the phone protrudes up in front of the windshield. Be sure to check your state laws before purchasing a car mount, or consider the Universal Magnetic Car Vent Mount, which affixes to your vehicle’s air conditioning vent. Furthermore, California and other states no longer allow drivers to hold their phones while operating a vehicle. If you are caught you could be fined $20 the first time, and then $50 for each subsequent offense. There is an exception to the law, though. You can make a single tap or swipe on your phone, to answer it, as long as it’s mounted or fixed to the vehicle. 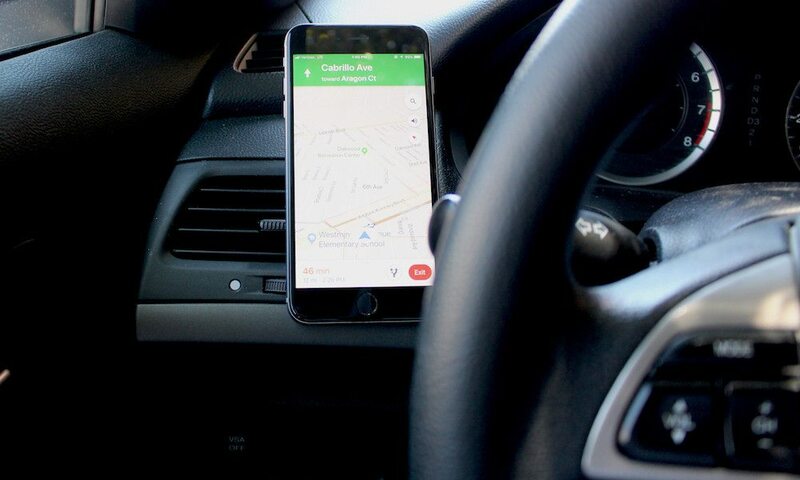 In addition, for most Californians (and other drivers), a cell phone car mount is required if you want to use your phone’s navigation or music features. Reaching for a mobile phone in a manner that causes the driver to no longer be in a driving position. All of these can be avoided by using the Universal Magnetic Car Vent Mount to secure your cell phone to your dashboard. What I liked most about the Universal Magnetic Car Vent Mount is how easy it is to install, and, considering how small and simple a product it is, how well it worked. During my tests, I drove over some bumpy, curvy roads, but the Universal Magnetic Car Vent Mount held my iPhone upright and motionless. I tapped buttons, swiped, typed, and dialed phone numbers with ease. This really is one of those situations where simple is best. The position of the mount hardware and the upper-rear portion of the chassis, made for easy access to the power cord and Home button. It has no moving parts and doesn’t require power. As long as you keep it out of the sun, it should last forever. It’s not often that I come across an under-$20 gadget that does everything it’s touted to do, and does it well.